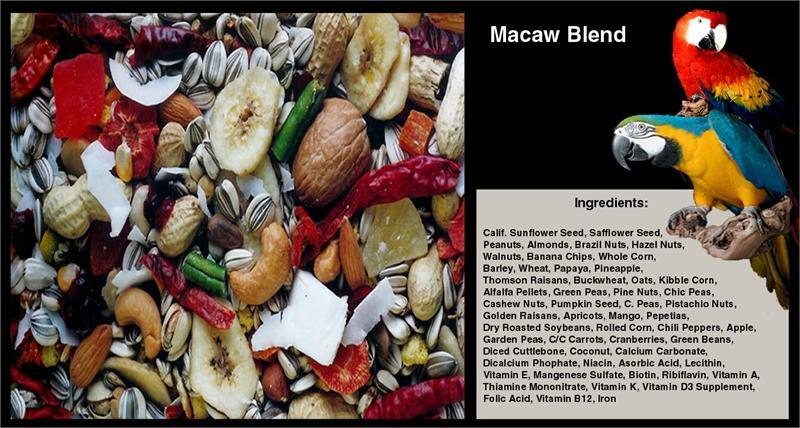 Parrots & Company Premium Macaw Blend This high energy diet includes grains, seeds and is loaded with a variety of fruits and vegetables which are low in fat but contain good amounts of vitamins, minerals and antioxidants. Antioxidants help fight diseases, boost the immune system and protect the body from oxidant stress. Fruits and vegetables also provide an abundance of dietary fiber. 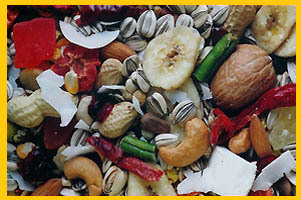 Parrots & Company Premium Macaw Blend boasts a great variety of delicious nuts. Rich in energy and protein nuts are packed with antioxidants, vitamins, minerals and the much discussed omega-3 fatty acids. Parrots & Company Premium Macaw Blend meets the specific needs of large macaws.